Hi there! 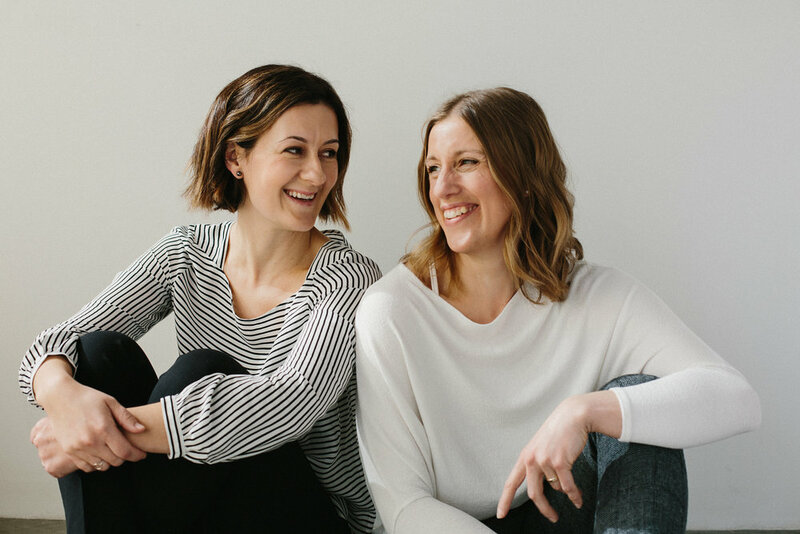 We're Byrdie Funk and Heather Kennedy, two women who care deeply about helping YOU live your best life and thrive as the person you were made to be. Together, we facilitate retreats designed to create space for you to do just that. Space in which to connect with yourself and others, to hit the pause button and breathe, to learn new tools and techniques that you can carry forward into life with you, and to restore YOUR soul as you unwind, relax, explore, play and grow! Byrdie is passionate about helping people learn how to look at themselves in the mirror and LOVE who they see looking back at them. In her work as a Certified Daring Way Facilitator and Registered Professional Counsellor, she frequently hears stories of exhaustion, overwhelm, and diminished self worth. They are stories that she resonates with, having personally journeyed along a path of learning to love who she was created to be. Finding both her faith and Brené Brown's work were transformative for Byrdie, as she learned (and continues to learn!) how to live a brave life from a place of worthiness and how to get back up when she falls. Sharing Brené Brown's life-altering work with others and helping them to interact with the world around them from a place of worthiness is one of Byrdie's favourite things to do, whether over a cup of coffee, during a Restore Your Soul retreat, or in her Squamish office. She also loves spending time with family and friends - especially her husband and fur-kid, Charli the dog; enjoying tasty food; spending time in the awe-inspiring outdoors; and expressing her creative soul. Heather cares deeply about helping people live their best lives and is committed to doing the same. She loves seeing people embrace who they are, connect with their core values, and truly believe that THEY ARE ENOUGH. For years, in spite of having all the external appearances of having more than enough--including academic success, a veterinary career, and athletic achievement as a triathlete--she felt like and lived like she wasn't enough. Through her own journey, she has come to understand that she is loved deeply by God, that personal growth and changing habit systems is both possible and worth it, and that she is enough, imperfections and all. Sharing in journeys of personal growth with others in her work as a Certified Professional Wellness Coach and Registered Yoga Teacher makes Heather's soul sing! She also loves sharing in adventures with her husband and friends (particularly on two wheels or with running shoes on her feet), being Dog-Mumma to Lucy the Wonder Dog, trying out new recipes, sharing joy through words and outdoor experiences, and drinking excellent coffee.